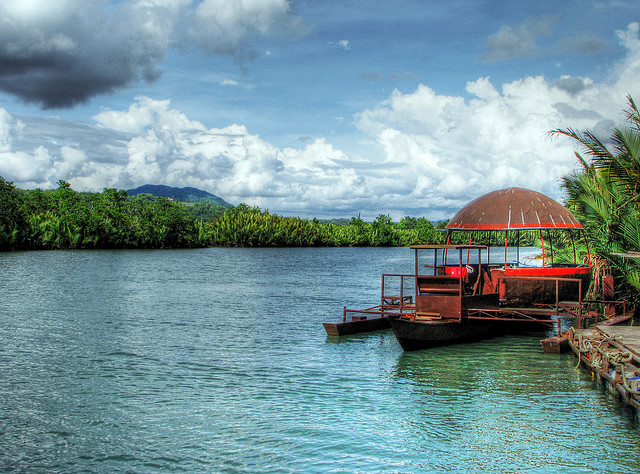 The Loboc River is one of the major tourist destinations of Bohol, local and foreigners alike. The winding river plays host to cruises on board of small bancas or floating restaurants. Visitors are treated to a vista of lush tropical vegetation such as nipa palms, coconut trees, banana groves, and bushes.